Wondering when you will ever find the time to do the research to figure out where to take that broken microwave or coffee maker to get it properly recycled? You can pop it out to your curb on April 24, 2017 and a truck will come take it away for recycling, thanks to a new program between the DPW and Simple Recycling, a for profit recycler. 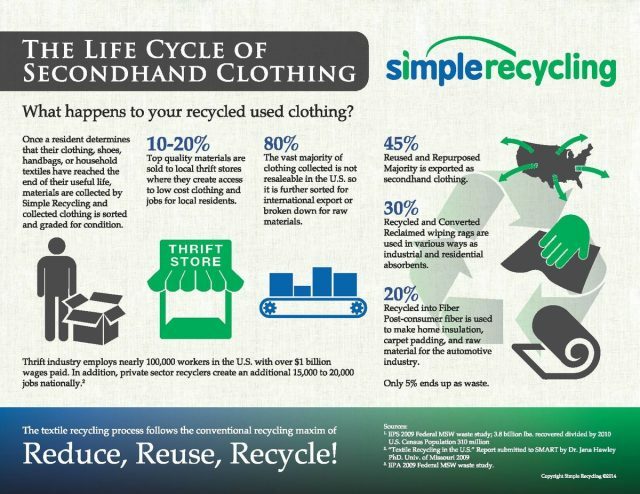 Brookline’s Department of Public Works has just partnered with Simple Recycling, and will offer residents a free option to recycle unwanted clothing, shoes, small kitchen appliances, and housewares, even if they are broken or not in tip top condition, beginning April 24, 2017. Every trash day a Simple Recycling truck will roll around picking up the special bags residents can order online for free. There was previously just a town collection site at skyline park to collect potential old goods for recycling. The majority of the stuff the truck picks up is not reusable, so that is broken down and reused, according to Simple Recycling. And no, items do not need to be in working order or usable condition to put in the bag. A full list is available at SimpleRecycling.com Questions regarding the specifics of this program should be directed to Simple Recycling by calling 866-835-5068, or by sending an e-mail to info@simplerecycling.com.